Once a Native American trail, this sunken roadway later served ox-drawn carts. 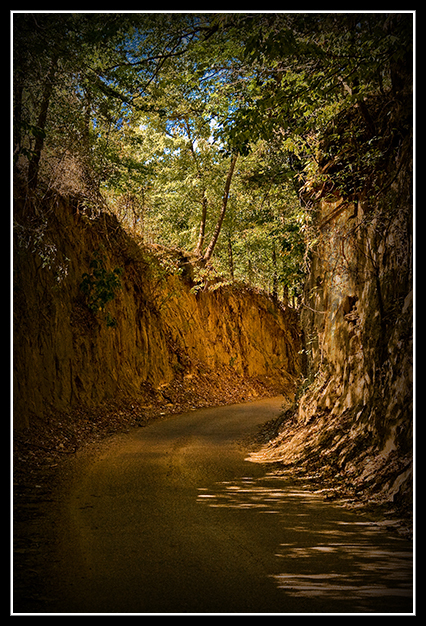 The road, still in use today, is so narrow that only one vehicle can pass through at a time. At one time, a bell was located at both ends to warn that someone was entering… and so it became known as Bell Road. My grandparents stayed there. I loved growing up along that road. I miss my grandfather Jessie Thomas and I miss those happy times.